A woman gave birth on a Southwest Airlines flight on Friday. 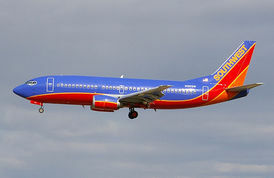 Denver, Colorado (WiredPRNews.com) – A woman gave birth while on a Southwest Airlines flight on Friday. As reported by the Associated Press (AP), the woman went into labor while the flight was en route to Salt Lake City, which prompted the captain to divert to Denver, Colorado 100 miles away. The baby was reportedly delivered on board with the assistance of a physician, two nurses, and flight attendants on the plane. As noted by the AP, the mother and child were subsequently taken to the Medical Center of Aurora by ambulance upon the plane’s landing. As further noted in the report, both the mother and child were reportedly said to be doing fine after the incident. The flight was continued to its scheduled destination after the Denver stop.